Dive in with TYR as we continue to fight the battle against Breast Cancer. Every time you buy a TYR Pink product including the TYR Pink Pull Float we donate up to $5.00 to the Breast Cancer Research Foundation. The LPFB is the perfect tool for strength training and aquatic exercise routines of all levels. By isolating the legs and negating kicking, the pull float helps swimmers develop upper body strength and concentrate on proper arm stroke and technique. Showcasing 6" EVA foam construction, this swim training tool is engineered for extended use and performance in the water. 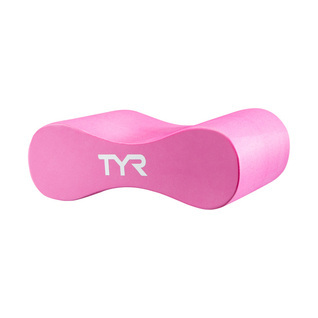 The TYR Pink Pull Float won't only help you swim great; it will make you feel great knowing you are raising awareness and hope for a cancer free future.